Samantha Davidson Green is a film director, screenwriter and media arts educator based in Plainfield, NH and Brooklyn, NY. She recently completed post-production on her first feature film, THRASHER ROAD, and teaches Film Directing in the Film and Media Studies Department at Dartmouth College in Hanover, NH. Samantha earned her MFA in Film Directing at UCLA Graduate School of Film, TV & Digital Media where she was recognized with a University Fellowship, Hollywood Foreign Press Association grant, Mary Pickford Award, Lynn Weston Award, and Caucus Foundation grant. Her award-winning short films have played in festivals worldwide, including Tribeca Film Festival (Winner, Best Student Film Award), Rhode Island International (Winner, Audience Choice), Los Angeles Latino International Film Festival, Baja Film Festival (Mexico), Heart of Gold Film Festival (Australia) and the AFL-CIO D.C. Labor Film Festival, among others. Raised in the mountains of New Hampshire, Samantha headed west to Stanford University where she earned her BA in English with Humanities Honors. From there she moved to Japan where she taught English as a Second Language to doctors, medical students and citrus farmers for a year before backpacking through rural China. Back in the US, Samantha discovered her desire to write and make films while teaching high school English and directing theater in Crystal Springs, Mississippi through the Mississippi Teacher Corps; during her teaching tenure, she earned her MA in Secondary Education at the University of Mississippi. Samantha went on to work in children’s television, new program development, creative services and new media at KQED TV9, San Francisco’s PBS station, where she launched the KQED Media Education Project and Independent Film Initiative. Recruited to UCLA’s Graduate School of Theater, Film and Television in 2000 with a University Fellowship, Samantha wrote, directed and produced numerous short films, including documentary film MR. JIMMY’S BIRTHDAY CHALLENGE, which brought her back to Mississippi and earned Best Documentary Award at UCLA’s Festival of New Creative Work and the Elvin Whitesides Directing Award at the Tupelo Film Festival. During graduate school, Samantha interned with HBO Films, the Sundance/NHK International Filmmaker Program, and the American Pavilion at the Cannes Film Festival. Samantha’s feature screenplays DEAD END JOB, based on her short film by the same name, and GIFTED & TALENTED, a dark comedy about two New York City fathers who take criminal action to secure their children’s acceptance to a prestigious Kindergarten, were recognized at the Independent Feature Film Project Film Forum. Samantha recently completed post-production on her first feature THRASHER ROAD, shot on 16mm on location in 20 states across America. Independent film projects for clients have included Stanford University, The Prospect Park Alliance, Hannah Senesh Community Day School, The Hootenanny Art House, and VIA/Volunteers in Asia; consulting on feature script development. 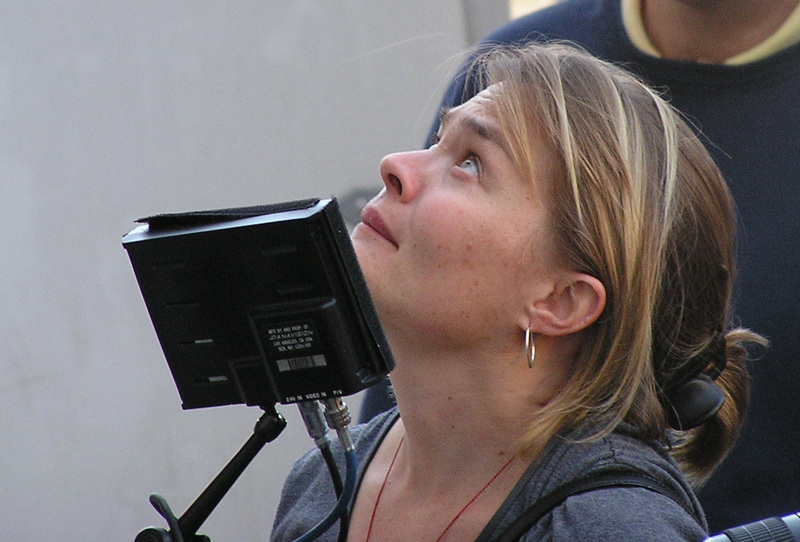 She currently teaches film directing at Dartmouth College and film-related courses through OSHER@Dartmouth College. Back home in New England, Samantha has also returned to her community arts and theater roots, directing productions of Almost, Maine (Parish Players, 2015), The Knave of Hearts (Saint-Gaudens National Historic Site), Steel Magnolias (Parish Players, 2017), The Tempest (Plainfield Elementary, 2017) and various children’s musical productions.